If you thought there were too many stories to follow this season on Grey’s Anatomy, then you'll really enjoy the latest episode. With a much-needed break from the cacophony of background plots, the spotlight shines on Catherine’s surgery to remove her mega tumor. Since the surgery impacts many of the show’s main characters, we still get to see a lot of the series regulars. On top of the surgery of the season, Meredith takes the day to reconcile her past in a wonderful subplot with her dying father, Thatcher. At first glance, it doesn’t appear that much occurs in this episode, but these events will have a positive, long-lasting impact. The day of Catherine’s surgery has finally come, and Tom Koracick and Amelia are as ready to operate as they ever will be. The pair spends the time before the surgery nervously trying to amp each other up by discussing all the reasons the operation must be successful. This is definitely the most nervous Koracick has been, which reveals a deeper level of character as the episode progresses. Catherine takes a few moments to reflect on her past, present, and future with Jackson as well. In what feels like an elaborate goodbye, Catherine shares memories and plans for every possible outcome with Jackson. Before the surgery begins, Jackson surprises Catherine by playing her favorite song in the OR, inciting an impromptu dance party. Everyone knows that dance parties are a staple on Grey’s Anatomy, but I don’t think we have ever seen one occur before an event. Catherine treats the moment like her possible last of mobility, which is fitting. Amelia and Koracick keep the music and good vibes going for the first part of the surgery, which is a not-so-subtle device for the audience to fully understand that everything is going as planned. When they think that they have the tumor isolated and ready for dissection, Amelia and Koracick realize that the tumor is rooted deeper than they first thought. In a risky move, they decide to flip Catherine from her stomach onto her side to operate from both the front and back at the same time in hopes of fully resecting the tumor. They continue operating, but find that every move they make winds up harming Catherine’s motor function in her arms. While watching in the gallery, Richard has a great idea and tells Amelia and Koracick over the intercom that they should resect small pieces of the tumor and use his cancer-detecting pen to determine how much more to cut. See, those surgical innovation contest projects from last season still matter and have not been forgotten! 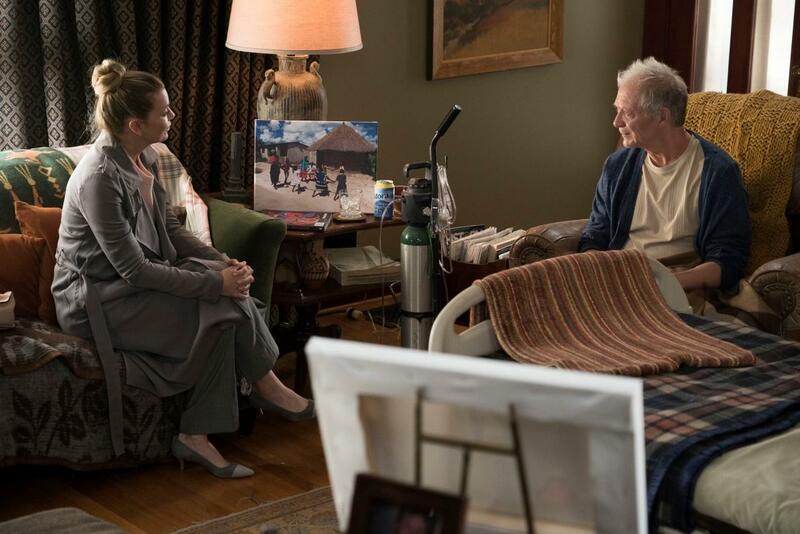 The pen works as advertised and allows Amelia and Koracick to get as much of the tumor out as possible without compromising Catherine’s ability to move. When Catherine wakes up from the surgery, she is able to move all four extremities. While the surgery is considered a huge success, Amelia and Koracick are sad to tell her that they had to leave a small node of the tumor behind. Catherine says that she is fine with living with a little cancer because it means she gets to live and continue her career. She has many months of recovery ahead of her, but this is not the last of Catherine Fox... which should be good news for the mental health of Richard, Jackson, Koracick, and Amelia. One of the most anticipated moments of the season has finally arrived: Jeff Perry is back as Thatcher Grey. It has been eight years and many tragic life events since Meredith and the viewers have seen Thatcher. In Perry’s defense, he was in the whole seven season run of Shonda Rhimes’ other powerhouse series, Scandal. Since Scandal ended, we can finally get that Thatcher closure we all need. At the beginning of the episode, Meredith tells Richard that she has taken the day off to spend with him during Catherine’s surgery. Richard says that he doesn’t need her to stay with him and would rather see her go visit her almost-dead father. Meredith caves and decides that she should go see Thatcher one last time, if only to please Richard. Apparently, Thatcher is living somewhere close to Seattle for a bit, since Meredith quickly gets to his house. It is really nice to see Thatcher excited to see his eldest daughter and actually show positive emotions toward her for once. Unsurprisingly, it doesn’t take Meredith long to blame Thatcher for not being in her life. She makes some great points about him not being around after Lexie’s death or when Derek died. Surprisingly, Thatcher reveals that he did come back to Seattle for Derek’s funeral and was in the back. Meredith can’t believe that her father showed up for her without ever telling her, acknowledging his presence the day of, and not talking to her at the funeral. Thatcher tells her that he couldn’t talk to her because she was barely there herself. Remember when Meredith was literally a ghost, barely making it through the day and then disappeared for a while? Meredith realizes that maybe her dad hasn’t been the horrible drunk he once was these past few years, and starts to open up to him. He tells her about the new life he made for himself traveling and teaching in Africa, and they even share some memories from Meredith’s childhood. I think Meredith has always wanted to make amends with her father, and they both seemed to be very happy that they got the chance to be forgiven. It isn’t surprising that Meredith is with Thatcher to the bitter end. Thatcher apologizes for not being able to know his grandchildren. A teary-eyed Meredith tells him all about her three kids, which prompts Thatcher to tell her that he wants her to give his grandkids a box of his things. Meredith agrees and holds Thatcher’s hands as he takes his last breaths. Meredith has now witnessed both of her parents die, but Thatcher’s death is less jarring since she was able to finally make peace with him. A last sweet moment in the episode shows Meredith giving Zola, Bailey, and Ellis the box of African masks and items from Thatcher; she tells the kids that their grandfather loved them even though they didn’t know him. This was a really nice ending to the tumultuous story of Thatcher Grey and showed that all characters are redeemable.